We have 17 species of bats in the UK. 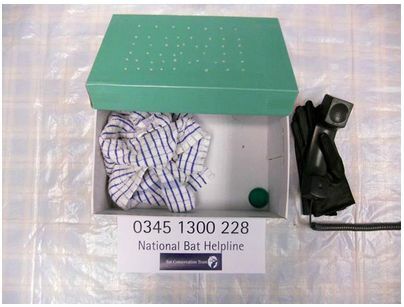 All UK bats eat insects - a pipistrelle bat can eat 3000 midges and mosquitoes a night! Baby bats are born between June and August - many baby bats get separated from their mothers and need to be hand reared if they cannot be reunited. Many bats are caught by cats. Cat saliva carries bacteria which frequently cause infection. Bats that have been injured by cats need bringing into care to be treated for this infection and injuries. Cats generally catch bats as they leave the roost at dusk. To prevent your cat catching bats, please keep the cat inside from 30 minutes before sunset until 1 hour after.